One of the most common questions we receive is about our investment criteria. In other words, how do we select projects for the Homegrown property crowdfunding platform? Given the high demand for funding from small and medium-sized developers, we see a large number of projects each month, but only projects that meet our strict investment criteria are selected for the platform. For example, in the last 6 months we have rejected more than 95% of the projects we have reviewed. In this blog, we will look at the reasons why we selected our Kingston development, one of our most popular projects to date. The Kingston project was a new build, mixed-use development on the site of an old milk processing factory, around 1 mile from Kingston town centre. The site had planning consent for 49 residential units (including 39 private and 10 affordable units) and one commercial unit, which had already been pre-let to the Co-op on a 15-year lease. 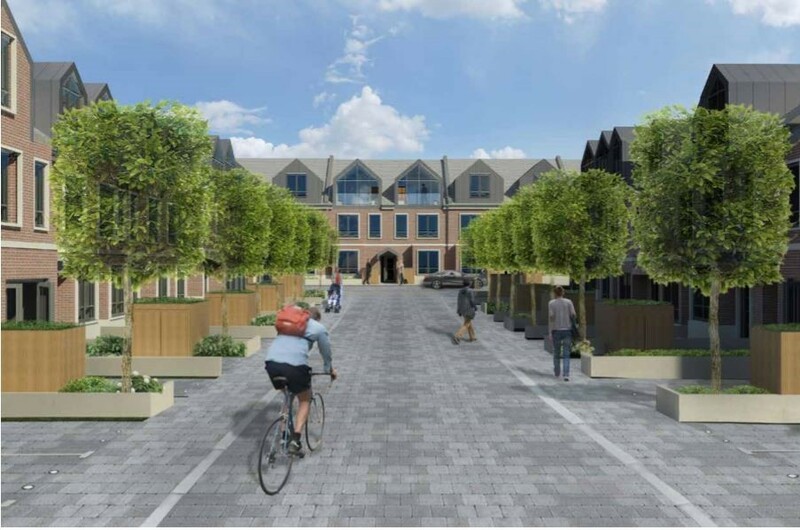 The scheme will also include car parking, cycle storage and landscaping. 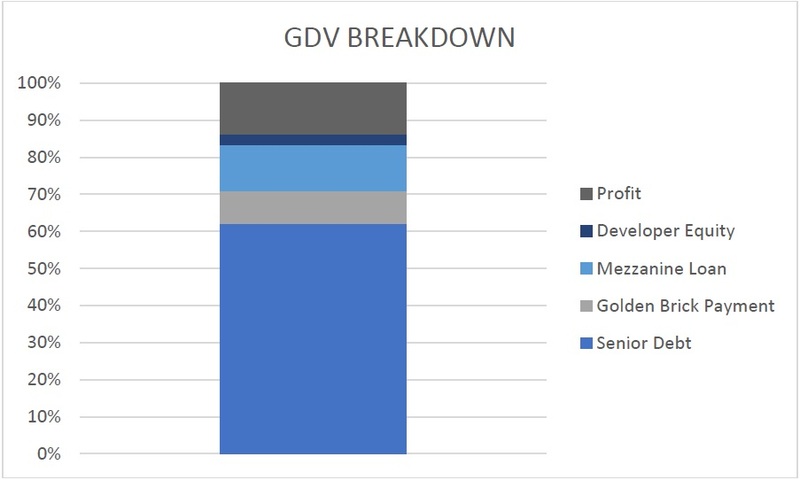 The gross development value (“GDV” / total value of the completed development) was £33.0m and the development required £28.0m to fund the site purchase and build costs. The developer had secured senior debt of £20.5m, which represented 70% loan to cost (“LTC” / loan to gross development cost) and 62% loan to GDV. The proposed funding included a further £2.8m for a proposed payment from a Housing Association who had agreed to purchase the 10 affordable units (referred to as a “golden brick payment”). The developer also agreed to make an equity investment of £958,000. As a result, the funding requirement and proposed investment opportunity was a mezzanine loan investment of £4,100,000. The mezzanine loan would be secured by a second charge over the development and would rank behind the senior debt (secured by a first charge) but ahead of the developer’s equity and profit. The mezzanine loan investors would also have recourse to a £1.0m personal guarantee from the developer. The projected return on investment was 29.0% (12.9%pa), net of all fees and corporation tax and the target investment term was 27 months. 1) Developer and Contractor – One of the most important factors in the assessment of any project is the track record of both the developer and main contractor, which can de-risk the deliverability of a project. Both Ensco Homes and CKC were able to evidence past experience of delivering projects of a similar type and size and in similar locations. 2) Economy and Location – Our focus as a platform has been on developments within London and the South East of the UK, which have good transport links, a strong local economy and high demand for housing relative to supply. 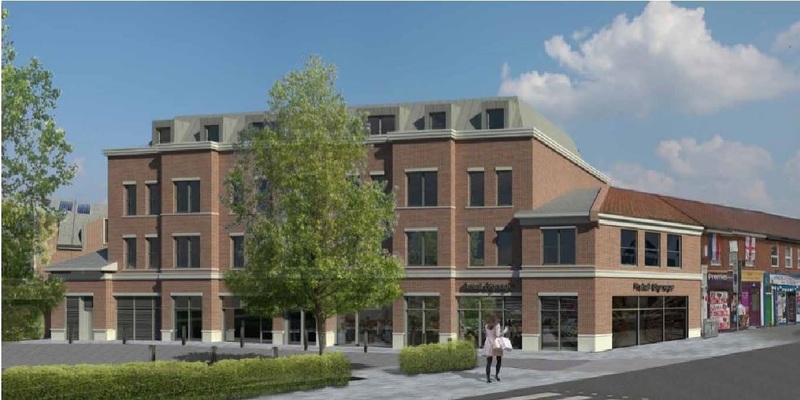 The Kingston development is set in a quiet residential area, close to transport links and Kingston town centre for access to shops and restaurants. Historic house price growth has been positive (average 6.2%pa for the past 10 years) and there were limited past and proposed new developments within close proximity of the site. Data of local demographics and sales trends suggests the development would be popular with young professionals and families. There was also evidence of a potentially strong rental market, which could provide an alternative exit strategy. 3) Financial due diligence – This involves scrutinising the business plan/development appraisal for the development, including modelling, ratio analysis, sensitivity analysis and benchmarking of key assumptions, such as the projected sales values which make up the GDV. The Kingston GDV was supported by market comparables and a Knight Frank valuation report. The valuation was de-risked by the fact that an offer had already been agreed for the affordable housing units and the commercial unit had been pre-let to the Co-op on a 15-year lease. Both the sales comparables and valuation report were provided to investors in the documents section of the Kingston investment page. It is important to note that GDV is based on historic sales and makes no allowance for future house price growth. 4) Risk assessment - There are generally considered to be four main risks associated with any development project; planning, finance, build and market. Homegrown only considers projects where planning permission and development finance are in place to mitigate the first two risks. In our opinion the build risk can be significantly reduced by working with professional and experienced developers and contractors. For Kingston, the risk was further reduced by the inclusion of a contingency fund of c£500k, which represents 5% of the build costs and the developer was also responsible for all cost overruns. Investors are exposed to market risk and projected returns and capital can be negatively impacted by lower sales values or slower sales. For Kingston, the mezzanine loan (secured by a second charge) has priority over (i.e. would be repaid before) the developer’s equity and profit (c£3.0m). As a result, our sensitivity analysis showed that, all else being equal, the projected return on investment would not be impacted by a fall in GDV of up to 9%. In addition, the investor has recourse to a £1.0m personal guarantee from the developer. After completing an independent review and considering all of the information available our investment team and investment committee determined that the investment opportunity associated with the Kingston development met Homegrown’s criteria and the project was approved for the platform. If you would like to find out more about Kingston or any of other investment opportunities, please feel free to get in touch at info@homegrown.co.uk.